If your Facebook timeline is flooded with your friends' pictures frolicking in Europe, while you sit and sulk, because there ain't no money, my friend. Don't fret. While the world is heading to Europe, why don't we explore beautiful landscapes closer home? You don't have to burn a hole in your pockets to have the time of your lives, really. 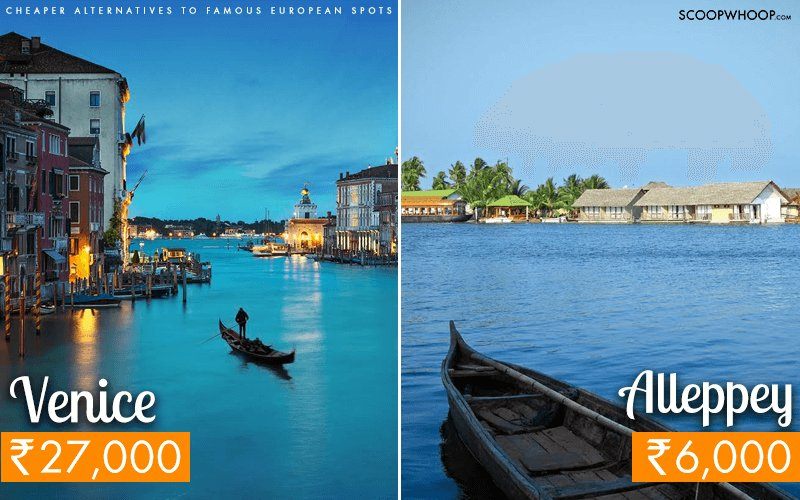 So here's a list of all the places, we think you can visit that are cheaper and closer home, but equally breathtaking. Why: A boat ride through the serene backwaters of Kerala are enough to rejuvenate your senses. Its network of canals, pristine beaches and beautiful backwaters make Allapuzha or Alleppy a perfect spot to holiday. There is a reason why it is called, quite literally, the Venice of the east. Take time out and stay at one of their houseboats to make the most of the city. And all of this, without burning a hole in your pocket. 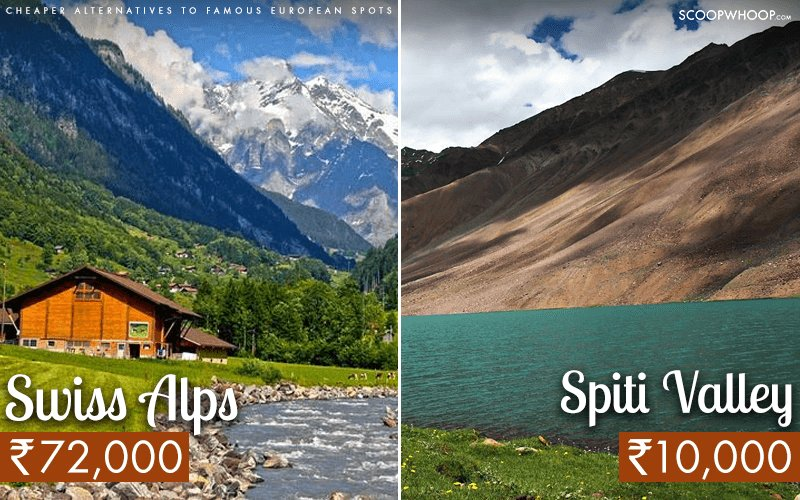 Why: The alluring beauty of snow-clad Himalayas and crystal clear lakes, makes Spiti Valley, a must visit. If you are in for a blue sky holiday without shedding a lot of money, then this enchanting valley is waiting for you. If you are a bike afficianado, then you must go bike riding from Manali, Himachal Pradesh. The roads are a little treacherous, but the view surely makes up for it. Why: Nothing quite matches the feeling of soft white sand under your feet and pristine blue waters for a view. You don't have to fly miles to Greece to do that, because this tranquil paradise is right here in your own country. Pack your bags and leave already. Why: Move over Rome already. If you are a history nerd, then Hampi's ruins in Karnataka is where you need to be. The ruins speak of a civilisation that once was, both surreal and enigmatic, you can spend time here and cycle your way through an era gone by. 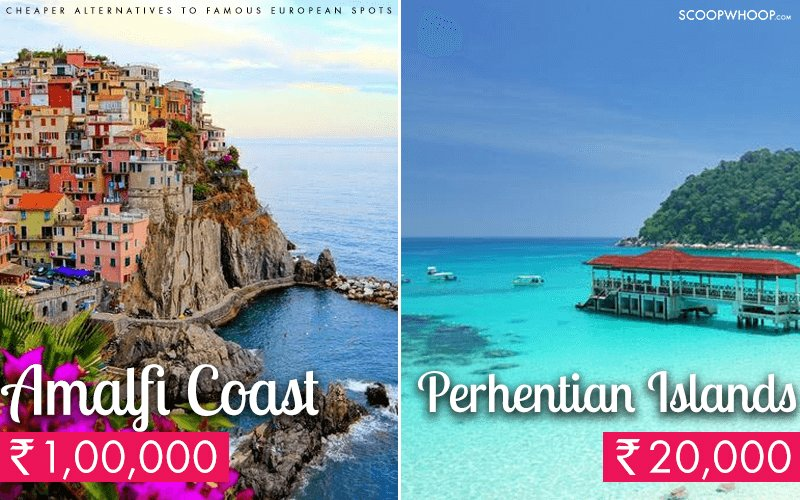 Why: Time to soak in luxury not along the beautiful Italian coastline but in Malaysia. While the regular hotspots in Malaysia are super crowded through out the year, there are a few hidden gems in the country that will give you the quiet time, you deserve. From beach hopping, to snorkelling and kayaking, these gorgeous islands have plenty to offer. 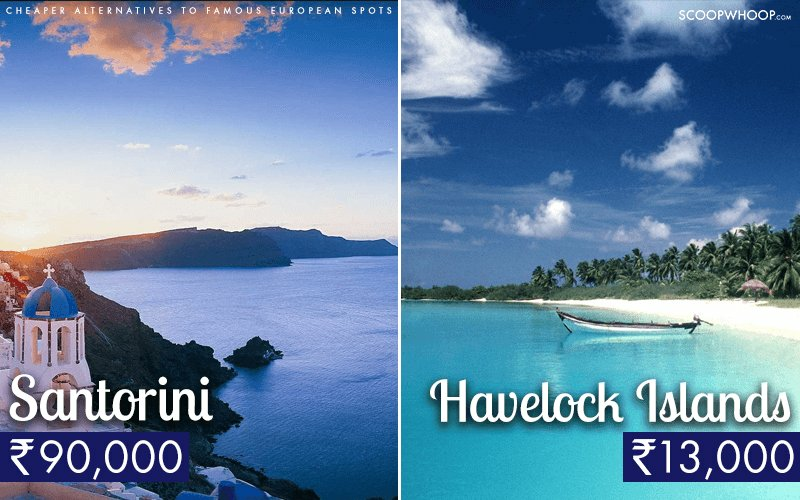 There are a few hotels on the islands with prices between 100-285 (MYR) per night for a double room. The best time to visit is between March- November. 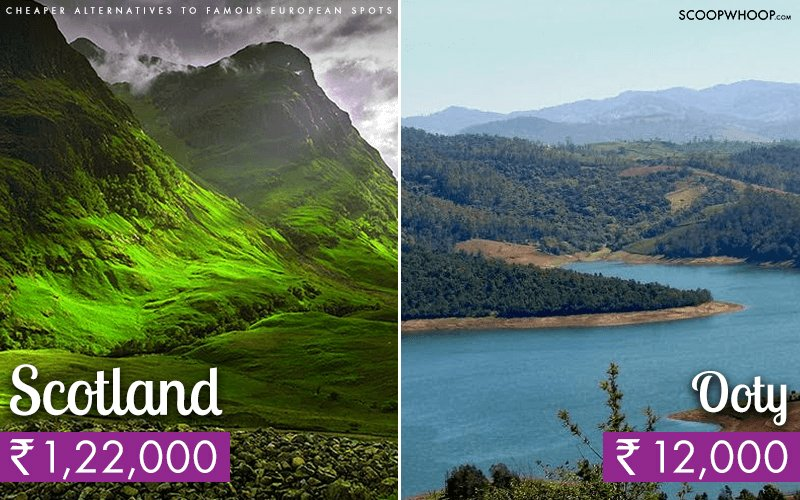 Why: If you are looking for a green holiday plush with picturesque landscapes and lush green forests, your bucket list must include the beautiful Nilgiris in Tamil Nadu, before you head to Scotland. There is so much to do while in Ooty, the most famous town in the Nilgiris. A tea-lover haven, there are some unseen pristine lakes near Ooty that you must check out while in the Nilgiris. 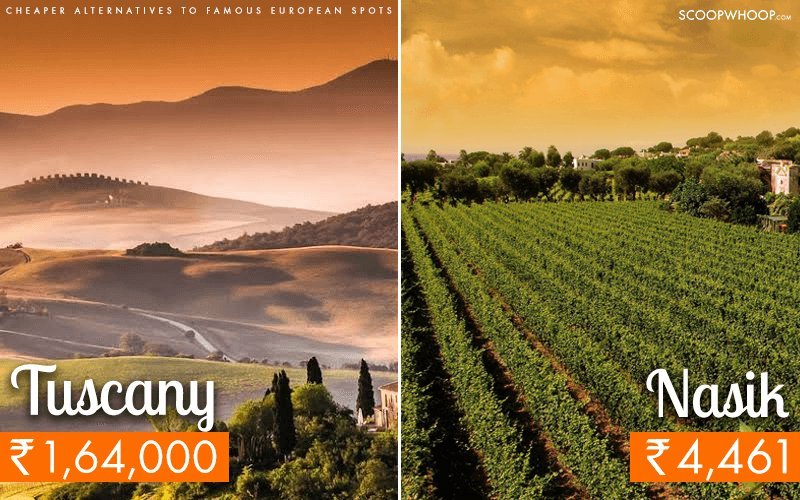 Why: Well Italy may be on every wine lover's bucket list but India too is home to some great vineyards. So save your money and pay a visit to the Sula Vineyards in Nasik. Closer to Mumbai, these vineyards are also privy to one of the best music and wine festivals in India, the Sula fest. Plan a trip around the fest and enjoy the beautiful location with some great wine and good company. 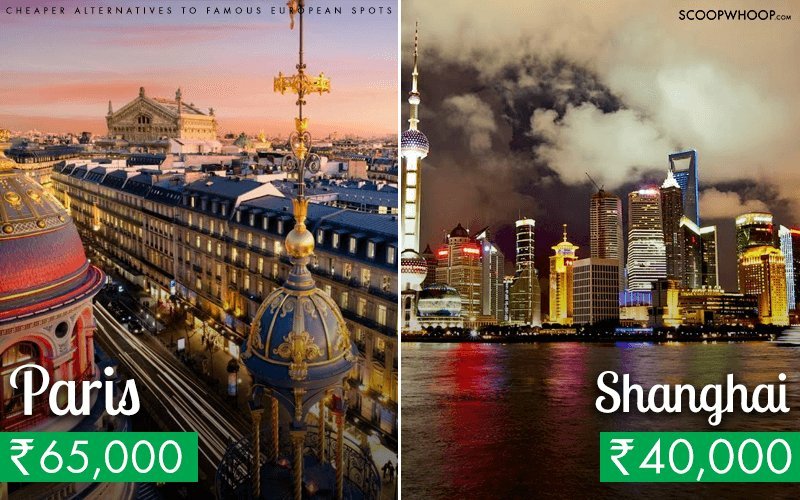 Why: Yes, we are indeed asking you to ditch Paris and go Shanghai instead. And we have reasons. This cosmopolitan city in the heart of China is bustling with art and fashion. Grab a transportation card to get around the city, to save money. And do try the street food in one of the famous markets, Fangbang Xi Lu. Why: If you are a foodie, head to Taipei and not Amsterdam, and thank us later. A seafood lover's paradise, Taipei is home to some of the best street food in Asia. 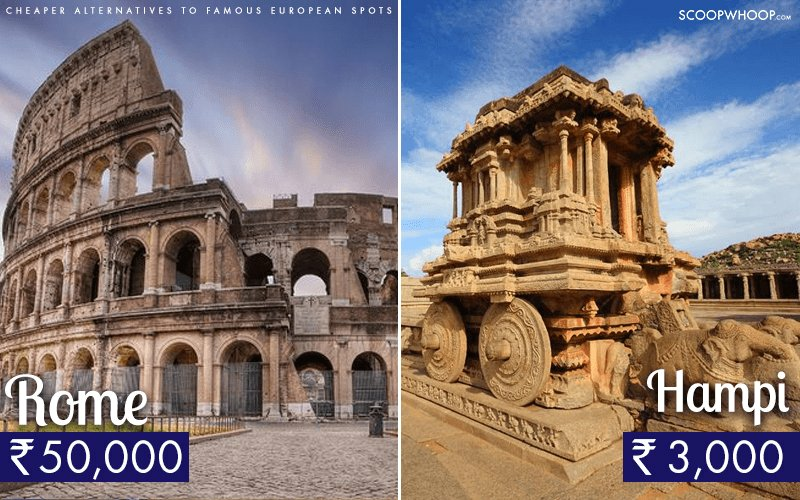 Also rich in cultural heritage, visit its unique temples and museums and feast your eyes. Taipei has really affordable accomodation options from budget hotels to hostels, right in the heart of the city, so you can save money for fun. Why: While Bali is best known for its beaches, it is also a great destination for party goers. 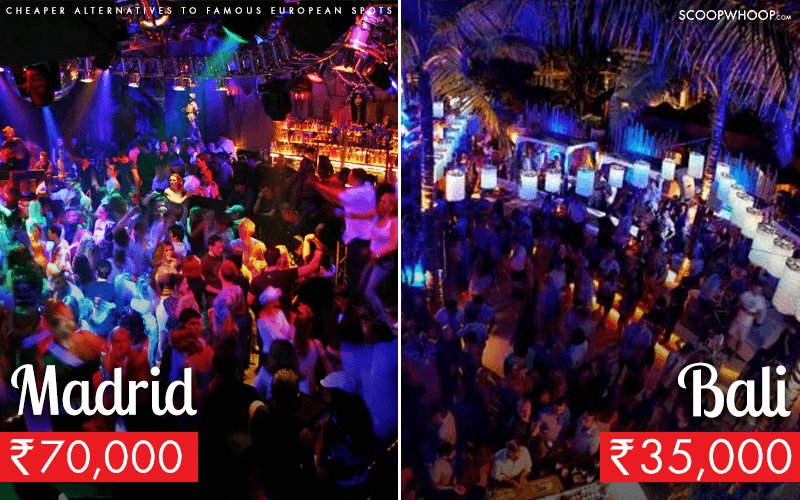 Bali is host to some crazy nightlife with exotic clubs and affordable bars. Head to Seminyak and Kuta, if you are looking for a great time at affordable prices. 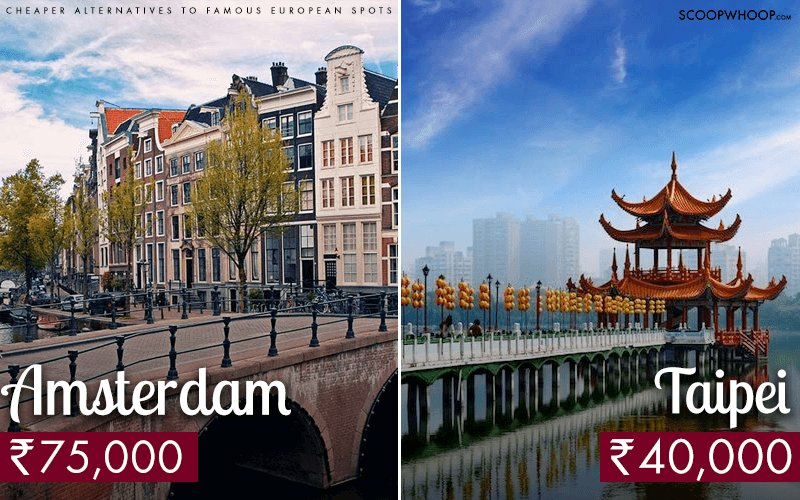 Disclaimer: The cost includes only travel fares to and from the cities specified and have been rounded off.